See that 3-D TOUR! 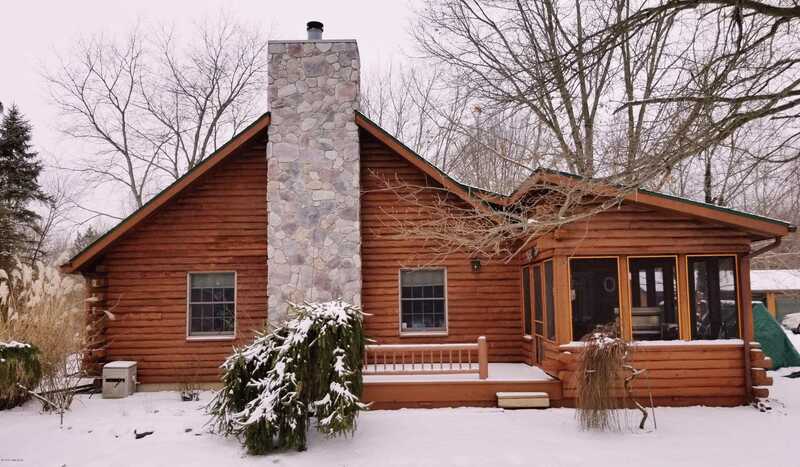 – This half log and Frame styled home sits on 14.25 acres of privacy. This home combines an open floor plan and Great Room design. There are three bedrooms and two full baths on the main floor. The finished basement features two finished ( office? ) rooms in addition to the family room. LOTS OF STORAGE! Peacefully nestled among other similar homes, This home is your new lifestyle. The BIG three stall pole building. See that 3-D tour, then call for a private showing. Directions: US 131 to Moorepark Rd turn east to Stevens Lane, turn left (north) & follow straight back. Continue straight at first arrow follow to ” Y ” in road. When you see an arrow sign go right. The home will be at the end of the drive. You can not see the home from the road.